Hard to believe it's been five years since Alfonso Cuaron wowed us with his 3D space spectacular, Gravity, a film that went on to win seven Oscars including Best Director. The filmmaker tends to take his time between movies, and fortunately for us the time is come for his next one, the mysterious drama Roma, which is making its way to Netflix. The first teaser has arrived, and frankly it doesn't tell us much. Yet it's still very calming, with the sound of the water washing over. We know this will be a deeply personal project for Cuaron, following a Mexican family in the 1970s. There will also be a depiction of the Corpus Christi massacre in which liberal student protesters were attacked and killed by top government soldiers known as "Los Halcones", with the death toll reaching over 120 people. 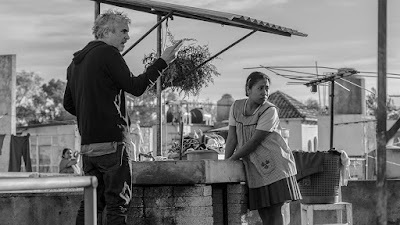 Here is the extensive synopsis: The most personal project to date from Academy Award®-winning director and writer Alfonso Cuarón (Gravity, Children of Men, Y Tu Mama Tambien), Roma chronicles a turbulent year in the lives of a middle-class family in 1970s Mexico City. Cuarón, inspired by the women from his childhood, delivers an artful ode to the matriarchy that shaped his world. A vivid portrayal of domestic strife and social hierarchy amidst political turmoil, Roma follows a young domestic worker Cleo (Yalitza Aparicio) from Mixteco heritage descent and her co-worker Adela (Nancy García García), also Mixteca, who work for a small family in the middle-class neighborhood of Roma. Mother of four, Sofia (Marina de Tavira), copes with the extended absence of her husband, Cleo faces her own devastating news that threatens to distract her from caring for Sofia’s children, whom she loves as her own. While trying to construct a new sense of love and solidarity in a context of a social hierarchy where class and race are perversely intertwined, Cleo and Sofia quietly wrestle with changes infiltrating the family home in a country facing confrontation between a government-backed militia and student demonstrators. 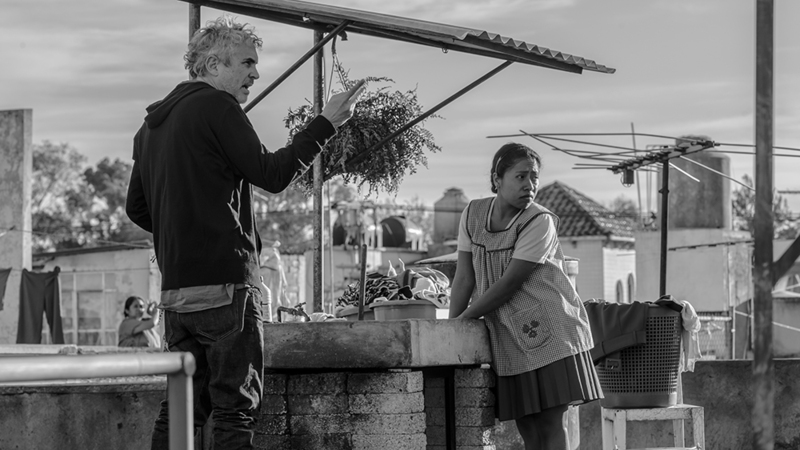 Filmed in luminous black and white, Roma is an intimate, gut-wrenching and ultimately life-affirming portrait of the ways, small and large; one family maintains its balance in a time of personal, social and political strife. Roma will hit Netflix later this year, but not before playing the New York Film Festival, Venice Film Festival, and TIFF.